Thailand’s Energy Ministry said it is reviewing its ethanol-use target of 9 million litres of ethanol per year by 2021, from the current 3.5 million litres. Permanent Secretary Areepong Bhoocha-oom said the recent sharp correction in global crude oil prices could make it difficult for the country to achieve this target because petrol is now cheaper than ethanol. “We are reviewing what should be an appropriate target. If we promote E85 gasohol – which is 85% ethanol – too much, the state will have to subsidise that product,” he said. Nevertheless, Areepong said the ministry still wanted to encourage more usage of E20 gasohol. It will also scrutinise the appropriate cost structure of ethanol and coordinate with the Ministry of Agriculture and Agricultural Cooperatives on the latter’s plan to increase the yield per rai of sugar-cane and cassava farmers, in a bid to help lower the costs of domestically producing ethanol. 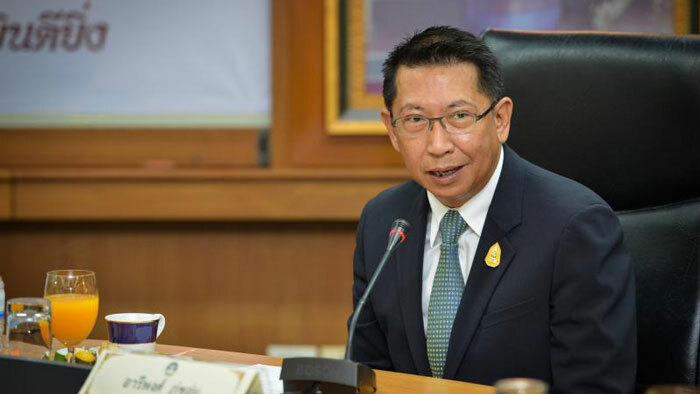 Thammayot Srichuai, director-general of the Department of Alternative Energy Development and Efficiency, said it was reviewing the ethanol target and its measures to promote production, The Nation reported. Witoon kulchroenwirat, director-general of the Department of Energy Business, said the 20-year oil-industry master plan would have to take into account the alternative-fuel promotion plan, which would affect the usage of each petroleum product. The national oil plan will set a framework on the fuel-price structure, and pinpoint which fuels the ministry will promote, ensure that fuel specifications comply with ASEAN Standards, and promote investments in infrastructure, such as oil pipelines and strategic oil reserves.